Site Building and Creating a Web Site Business is Hard Work But Worth Well It! Site Building a future by creating a web site business is hard work but fun, rewarding and well worth it! My story demonstrates that focus, determination and plain old fashion hard work not only improves a web site business but makes it a truly rewarding and profitable experience. . . Ten years ago I had just turned 40, I was married to my college sweetheart - we were working on 20 years of marriage & I had a 5 year old daughter. We were pursing the American dream - I had a high paying corporate job - I'm an RN & I worked for a health care corporation & was responsible for several states. It was suppose to be my dream job - the one I climbed & climbed that corporate ladder for - working tirelessly to advance my career - long hours, weekends in my home office. . . When I reached that "dream job" it turned out to be a nightmare. I hated it - all of it. I was always in the car or on a plane. I spent most of my time dealing with really nasty people who didn't share my caring and compassion for employees, patients or anything else except the bottom line. I decided to leave the job and take a little time off to spend time with my family before my daughter started to school. It was in the glory days of eBay - where you could list anything & sell it for top dollar. I had started collecting vintage Barbies and knew I could make enough money on eBay to take a little time off and regroup. I did and I loved it. I realized that my greatest desire was and had always been the freedom of doing my own thing, working from home. After I had been doing this for a few months, my husband had a massive stroke two days after his 42nd birthday. He was left totally disabled with severe disabilities. When he was finally able to leave the hospital they wanted to put him in a nursing home, they said I wouldn't be able to take care of him at home, even though I am a Registered Nurse. I told them there was no way they were going to put my 42 year old husband in a nursing home and I brought him home. For four months I slept on the floor in the living room to take care of him in his hospital bed. At first it took two people just to sit him on the side of the bed - one to hold him up and one to hold up his head. We had some wonderful home health care therapists and within a few months we was able to start learning how to walk again. The hardest part was that he also had aphasia, which means his ability to speak and communicate and process and understand communication was severely impaired. I went back to work briefly - but mostly for four years I supported us by selling on eBay. It was hard, but I felt like I needed to be at home taking care of him. During this period I use to have dreams where I was just crying my eyes out and my family & friends were all around & not even noticing I was crying. I would wake up crying. No one knew or understood how difficult my life was and how utterly alone I felt. It did feel as if I had the entire weight of the world on my shoulders. Finally I had to go back to work - he was doing so much better and the eBay income was becoming less and less. Fortunately I was able to get a great job - but I didn't want to be there - I wanted to be at home! Three months after I went back to work, my husband passed away, unexpectedly, almost 5 years to the day of his stroke. Thank God for the job - it had provided a little life insurance on him and was able to make an easy and comfortable living while I went through the shock and grief. He died in early November and I don't even remember that Thanksgiving and Christmas. Early in the next year I found a new resolve to do whatever it took to be able to be self-employed, working from home, doing my own thing. I knew it wasn't eBay - but I also knew it was possible to earn money from websites and I resolved to find out how. I knew if other people could do it I could too. I started researching and found Site-Build-It or SBI for short. 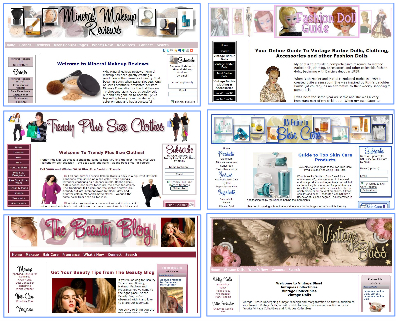 I started my first site in March 2006. I knew right away that I had found what I had been looking for for a long time. For the first couple of years I worked full time and worked on my sites on nights and weekends. I was thrilled with the success and loved having the extra money. Then everything changed again. I never thought I would remarry, but I met the most wonderful man. He was so perfect for me, it was like I ordered him from a catalog. Fortunately he feels the same way about me. From the very beginning I called him my "Dream Man". In a little over six months we got married and he moved in with me. I was renting a house and I wanted so bad to buy a home, but I felt like it needed to wait a few years to get all of our finances in order. However, after we had been married for a few months, the lady who owned the house called and said she needed to move back to it and gave use 60 days to move out. We decided to see if we could go ahead and buy a house. Not only could we, we bought my dream house. So now I had my dream man and my dream house and live was goooood and I was so happy. Then my employer went insane. After two years of working essentially unsupervised and achieving stellar results, the corporation underwent a huge change & I was back working with mean, nasty, micro-managing people. My websites were doing good by then - but not enough to replace my income - what I was making would barely cover my bills. But I decided to take a leap of faith and quit my job to work on my websites full time. That was just over a year ago. Today, 10 years since the beginning of my story, I just turned 50, I am married to my dream man, we live in my dream house and I have my dream job! In my first year I made more on my websites that I did the year before from my salary. I am now making a six-figure income from my websites and I have never been happier. I'm here simply because I never gave up. I've made just about every mistake you can make, but I never gave up. I've had Google drop just about every site and I have had lots of things not get the results I was hoping for, but I never gave up. When I look back at all of the mistakes I have made and what I knew when I started versus what I know now I wonder how I ever had any success at all - but thanks to the awesomeness of SBI I did. So what have I learned about my journey? First it is absolutely true that the only way to fail is to quit trying. I think the main reason I have been successful is that I have found so many ways to fail. So many things I have tried that didn't work - but every once in a while I'll find something that does and sometimes it will work in a BIG way - like a page that earns $800/month! Which means not only that you have to keep trying, but that if you aren't getting the results you want you have to try something else! When you are new at this you will probably have to try A LOT of different things. That is why the forums are such a blessing - they give you unlimited access to other people who are trying different things too. You get ideas. Eventually you will get your own ideas. The reason I am where I am now and how I not only survived the tough times but grew and flourished is simply that I kept putting one foot in front of the other. There were times when I didn't think I could take it anymore and there were times I didn't know where to turn or what to do, but there is always a "next logical step" towards where you want to go. Most people aren't going to go from A to Z in one step. But if you are always on the lookout for the next logical step to get you there, you will arrive much fasted than the person who spends all of their time looking for the magic pill to get them there without taking the actual steps. To everyone reading my story, I can so relate to being tired of being broke and depressed because you can't see a light at the end of the tunnel - but it's there - just keep moving forward and before you know it you will be basking in it. Anyone can start creating a web site business if they are willing to roll up their sleeves and work at it. The more effort you put into your web site business, the more it will improve. I have six sites now and couldn't be happier!